Thirty-six year old horse trainer, Tex Ranger, prefers horses to humans. His new job at the isolated Walker Horse Ranch is exactly what he’s looking for—no females to create drama in his life. He’s had enough of that. Twenty-four year old, Mary Meyers, lives to travel. When a rock climbing accident in Central America forces her home to her parents’ ranch to recuperate, she can’t wait to heal and get back on a plane to her next adventure. The sparks that fly take them both by surprise. They have nothing in common except their fear that falling in love will destroy their dreams. But dreams change . 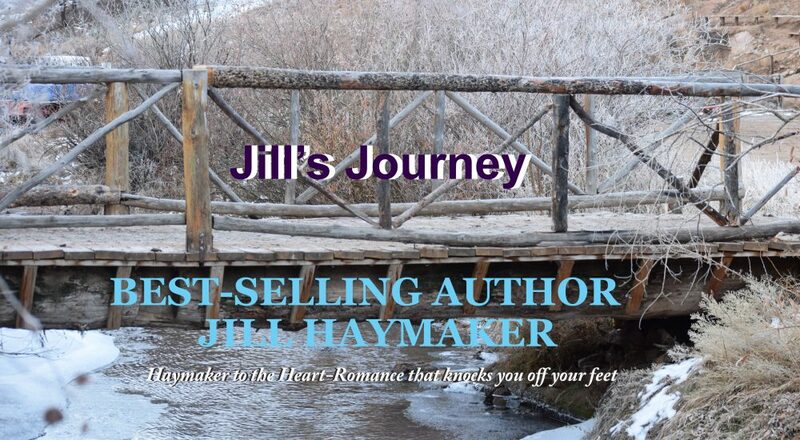 . .
COME HOME TO PEAKVIEW, COLORADO WHERE EVERYONE HAS A CHANCE AT LOVE. I know you are going to love the cover as much as I do. A special thanks to the amazing photography of Chad Chisholm, and the handsome cover model, Ken Mcnickle. Ken was one of Cosmopolitan’s 50 sexiest men in 2012. If he looks familiar, you may have seen him on season 33 on Survivor. Anyway, I was thrilled to have them do this awesome photo for my book. Download your copy today, and I’d be forever grateful if when you’ve finished reading you’d go to Amazon and leave me a review. Your feedback is so important to my work. I hear you are a newcomer to Peakview. What brought you to this community? I was practicing law in Chicago. I got burnt out and needed a break between Thanksgiving and Christmas. A partner of mine told me about Peaktop Guest Ranch. Even though they were closed for the winter, the Peytons graciously allowed me to come and stay. I fell in love with the Colorado Rockies. Then there was a certain cowboy, AJ Coulter. By the time the new year rolled around, I’d fallen in love with him, too. We decided to start our lives together here in Peakview County. It’s a magical place. Do you practice law here in Peakview? Only part time. AJ and I bought a small ranch. I’ve been spending a lot of my time decorating and remodeling. It’s not something I thought I’d enjoy, but I love it. I’m also working on a romance novel. That’s fun. Peakview’s only attorney, San Phillips, now spends his winters in Wyoming with his new wife. I’ve been covering his practice for him while he’s gone. I enjoy it. Let’s me keep up with my legal skills. I may open my own little office at some point. What is your favorite thing about Peakview? I love being in a small town. It’s so different from the big city. Everyone knows each other and looks out for them. It’s like one big family. I didn’t have that before. The people here are great. You never feel alone. So you think you’ll stay? My Name is Nicole. I was born and raised right here in Peakview in that big white house across the street from the café. So you’ve always lived here. No, I left for college in Fort Collins and then moved to San Francisco. The big city was fun and exciting, and I met a guy who I thought was fun and exciting also. Until he wasn’t. When it all fell apart, I came back to the only place I felt safe. Why had you stayed away so long? My mom died from cancer. There were so many memories of her here. I hated coming back to a home without her. Oh, I loved my dad, but it just wasn’t the same. Had this town changed when you came home? The town itself not much, but the people. Dad was engaged to Vickie (who I’ve learned to love, by the way) And then there was Rick. My wonderful husband, Rick Brady. I’d known him since kindergarten. He was the skinny, nerdy kid we nicknamed., Scarecrow. I never gave him the time of day. But boy did he fill out nicely! And I discovered what a wonderful person he was. He’s a vet, and we live and work on his ranch. Life couldn’t be better. Anything you’d care to share that we don’t know about you? I’m an amateur artist. I love to sit outside our home overlooking the Brady Ranch and paint. Stop by sometime and I’ll show you what I’ve done. ebooks just for entering. This giveaway ends soon, so make sure you hurry and enter! Good luck! Join the fun here! Hi everyone. Book 8 in my Peaview Series, Colorado Sunrise, is now available at http://www.amazon.com/dp/B07828MFF1 If you’re looking for a fun contemporary romance just in time for Christmas, this is the book for you. Forty-three year old, Kelly Charm, feels her life slipping away in Prairie, Nebraska. A single mom, she longs for a better life for herself and her teenage son, Ethan. Having scoured online job ads for months, she finally finds an ad for a hardware store manager in picturesque Peakview, Colorado and decides to take a chance. Forty-six year old, Jake Midnight, is Peakview County’s most beloved EMT. He’s the best at what he does—professionally, that is. After a failed marriage, which ended over twenty years ago, he’s put his personal life on hold. He’s content to live alone. That is if you don’t count his three horses, two dogs, five cats, and two pigmy goats. When the unfamiliar high altitude of the Colorado Rockies causes Ethan to have an asthma attack, Jake is quick to jump to the conclusion that Kelly is an irresponsible parent. Kelly is furious at the arrogance of this man who know nothing about her or her son. Sparks fly, but there’s no denying the underlying attraction that sizzles between them. The warmth of the holiday season has been known to melt hearts, even one’s which have been closed for years. Come home to Peakview, Colorado where everyone has the chance at love.